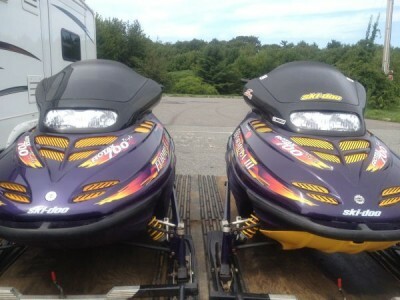 The 1st This sled has 1100 miles on complete new top end. 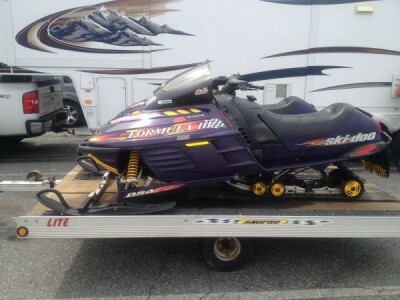 Sled has reverse, a very recent track with 144 picks, new skis and carbides, vforce 3 reeds, it is jetted and has 98 Mach 1 triple pipes with stock silencer. 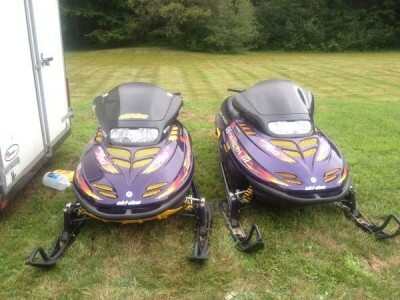 This sled is FAST and runs unbelieveable, starts first pull and is ready for snow. 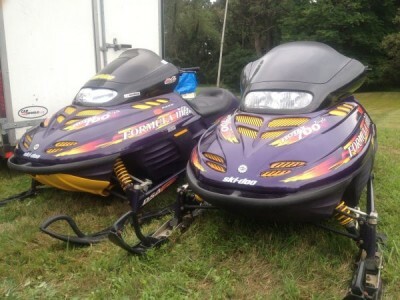 In the pictures, it is the sled with the yellow belly pan!